Have you ever wondered how to encourage and help fund student research? If so, the Endeavor Workshop is your chance to learn more about USI’s student-centered funding and the application process. 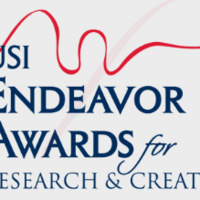 Through the Endeavor program, students can apply for up to $2500 per project and there are also funds available to support student travel to research-related events (http://www.usi.edu/endeavor). Rebecca Deeg, OSPRA Grant Administrator and Michael Strezewski, Endavor Chair will be on hand to provide information and answer questions regarding the Endeavor Grants for students.